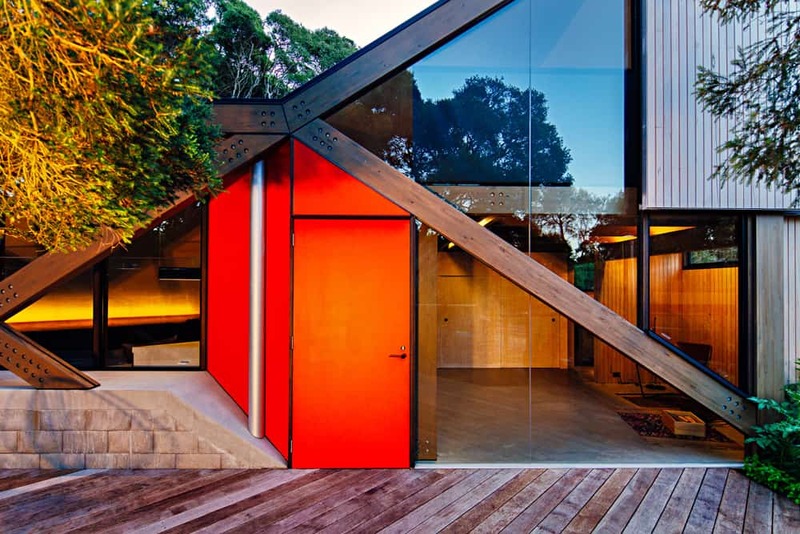 Reflecting the surrounding Moondah woodland, this extension to a 1960s dwelling reveals the geometry of its skeletal timber frame, and its glazed walls extend the conversation between built and natural forms. 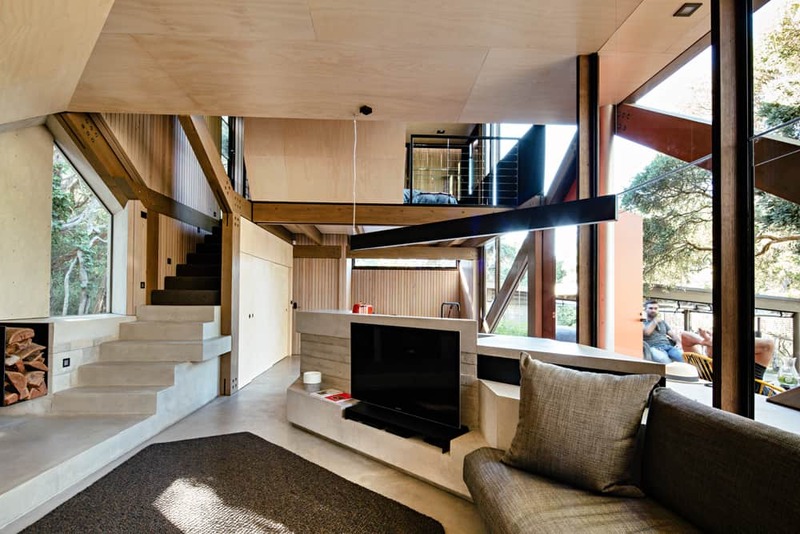 The extension comprises a step-down living space, a mezzanine level for sleeping (complete with ensuite) and generous multi-level decking. 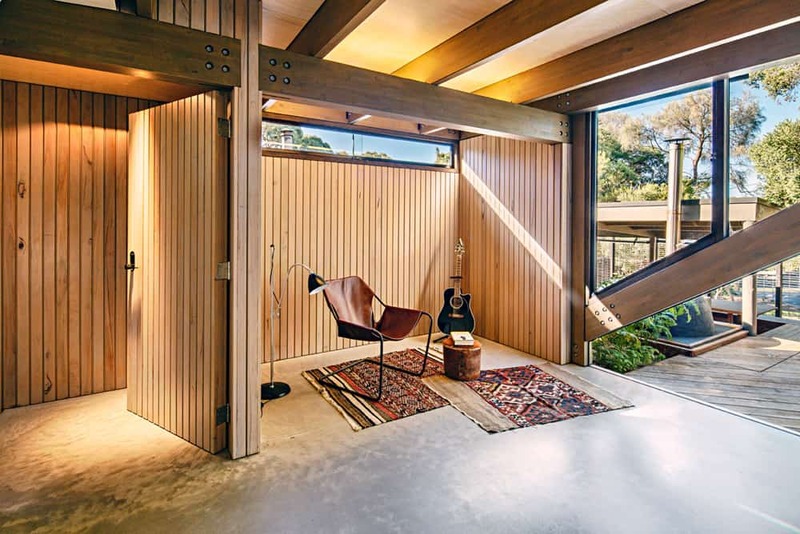 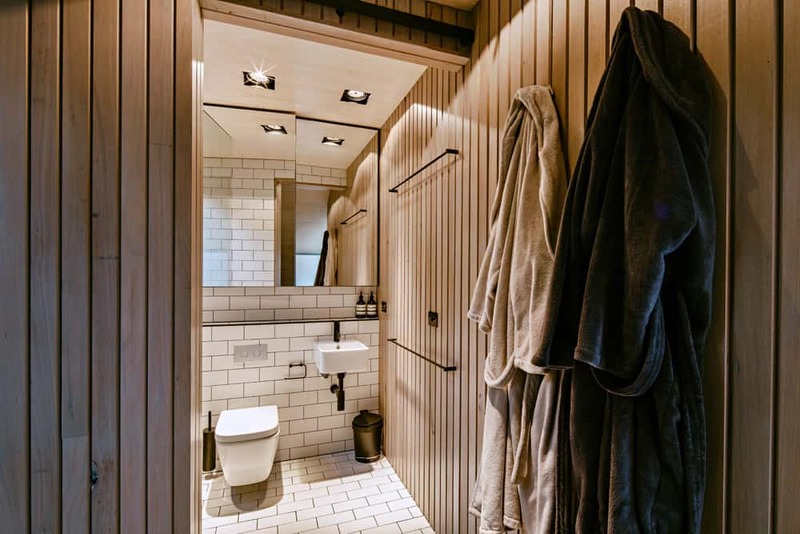 The exposed timber skeleton and the considerable use of wood veneer and timber panelling throughout demanded from Frank the craftsmanship of a carpenter. 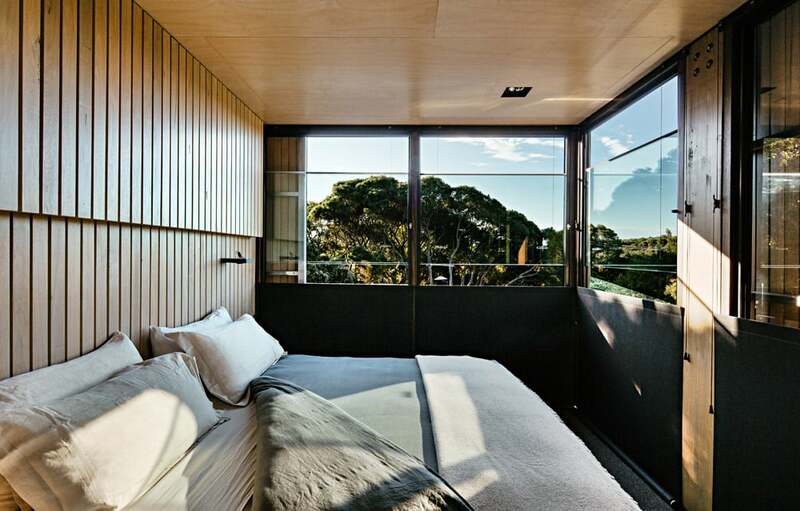 The rigorous finishing of timber and the polished concrete surfaces allow the materials to express a raw yet carefully honed natural beauty. 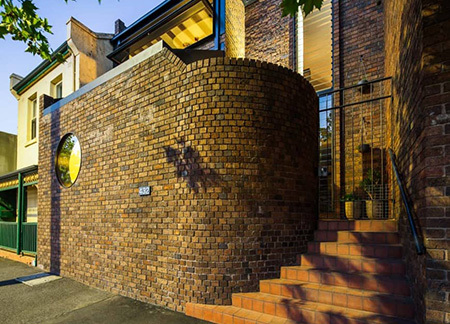 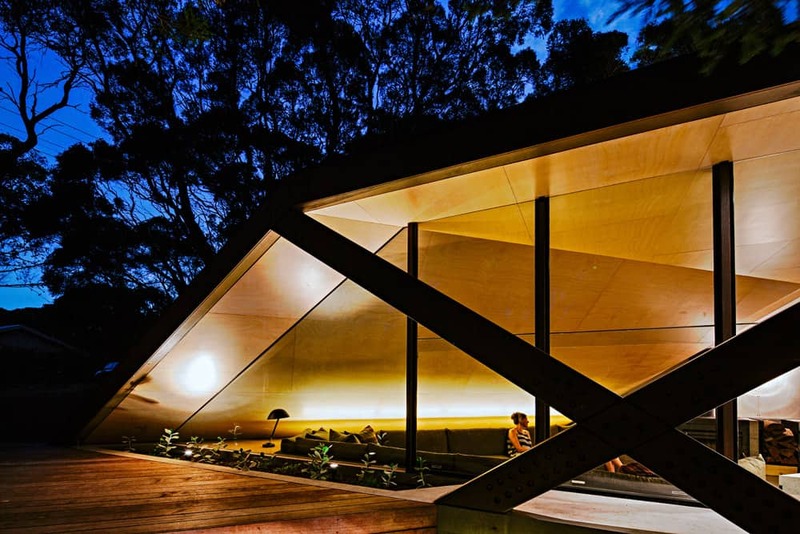 This project received nominations in two categories in the 2014 Australian Institute of Architects (Vic.) 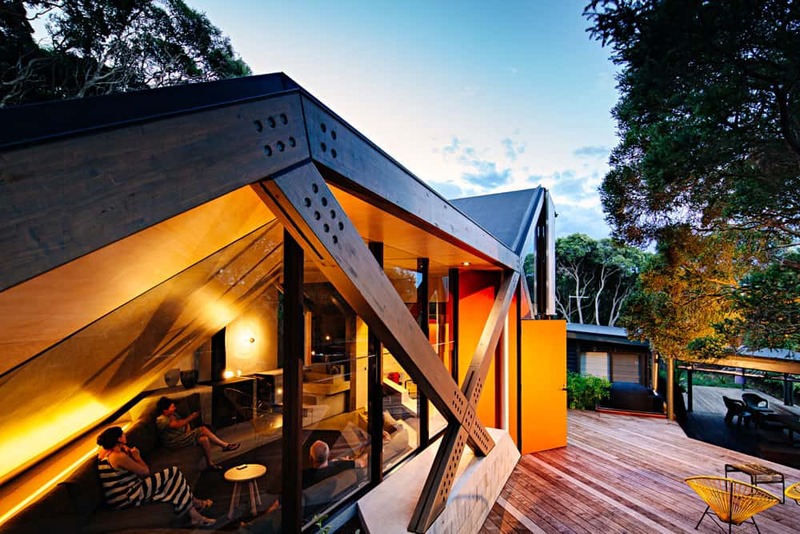 awards: ‘Small Project’ and ‘Residential – Alterations & Additions’. 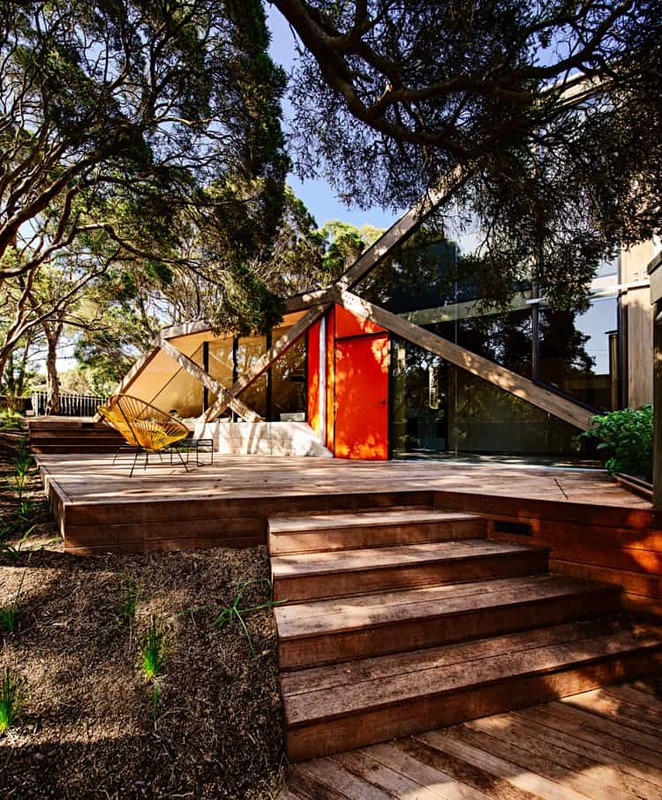 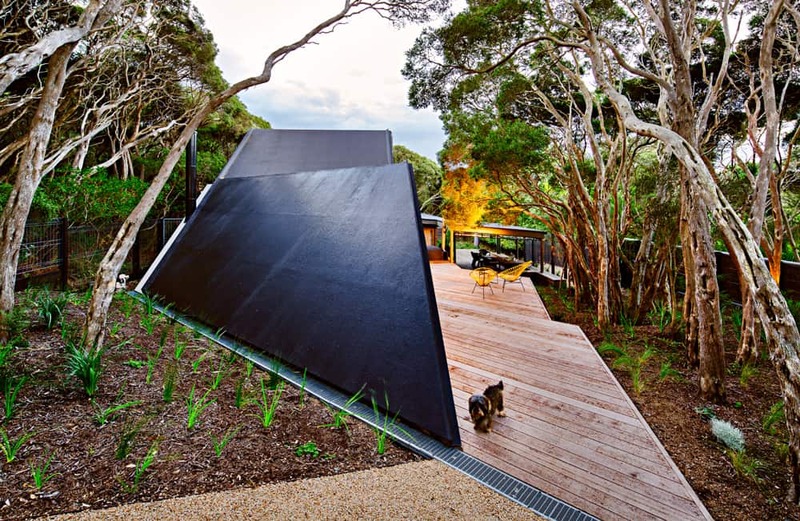 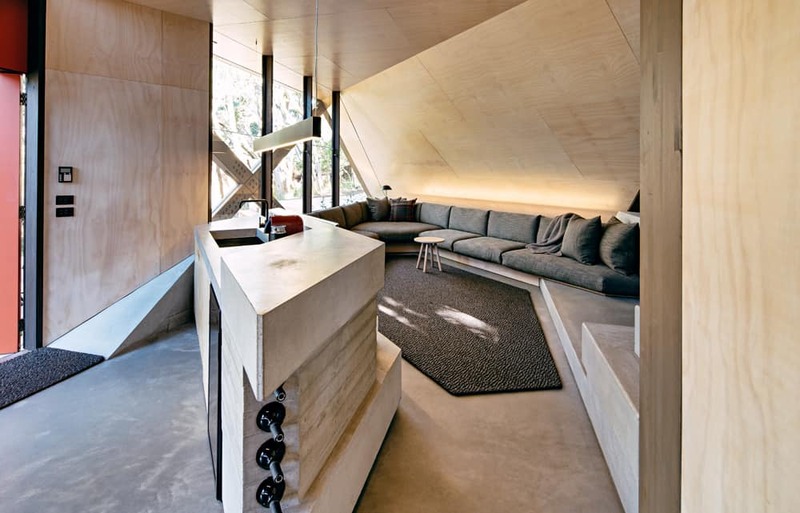 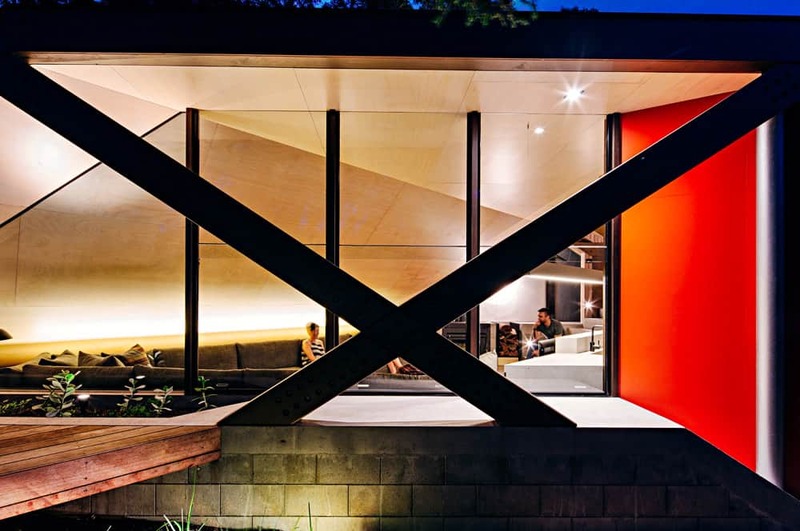 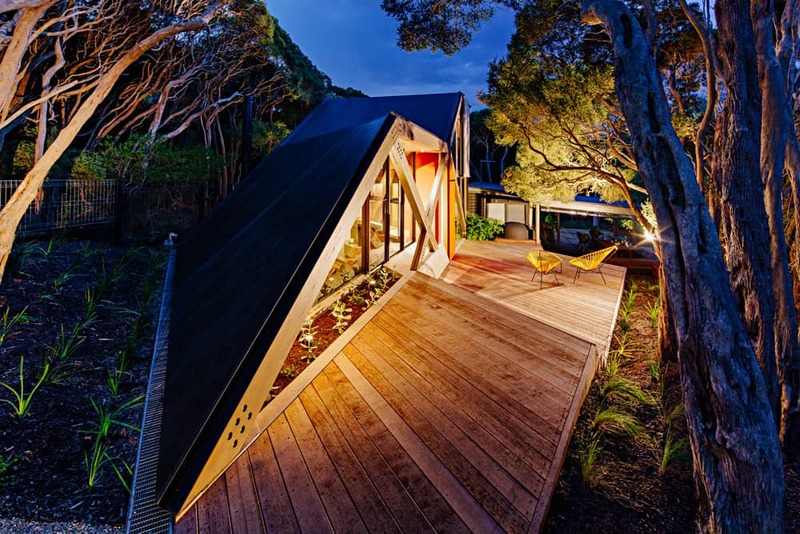 This Project “Blairgowrie Cabin 2” was covered in the Age “Design & Living” on July 12, 2014. 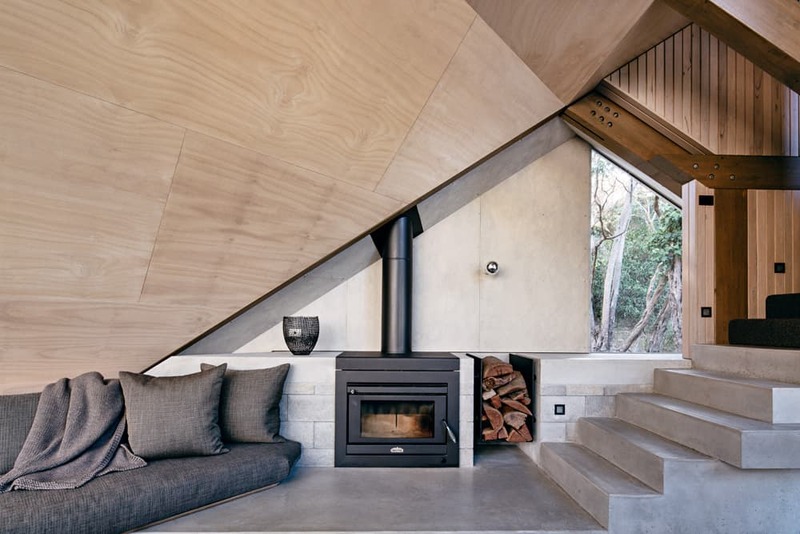 This Project “Blairgowrie Cabin 2” was covered in archdaily.com on March 4, 2015. 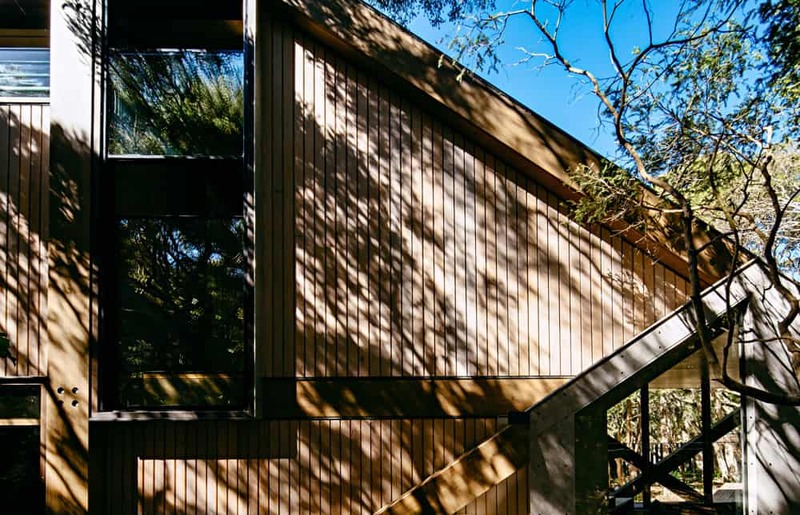 This Project “Blairgowrie Cabin 2” was covered in Green Magazine – Issue 42.